It is important to understand that PSCBC Resolution 2 of 1999 developed the principles for a disciplinary code and procedure for the public sector and avoided the need to use language suggesting any form of criminal conduct. See also the Adoption of Incapacity Code and Procedures – PSCBC Resolution 10 of 1999. On the contrary the following principles clearly show what is expected of senior managers. It is also important to know and understand that the Principles clearly stress the differences between conduct that is criminal in nature and needs to be dealt with by the authorities. That will involve a separate process and does not prevent the implementation of the internal disciplinary procedure. There is also no suggestion that an outsider needs to be involved in the internal process. 2. The following principles inform the Code and Procedure and must inform any decision to discipline an employee. 2.1 Discipline is a corrective measure and not a punitive one. 2.2 Discipline must be applied in a prompt, fair, consistent and progressive manner. 2.3 Discipline is a management function. (c) receive written reasons for a decision taken; and have the right to appeal against any decision. 2.5 As far as possible, disciplinary procedures shall take place in the place of work and be understandable to all employees. 2.6 If an employee commits misconduct that is also a criminal offence, the criminal procedure and the disciplinary procedure will continue as separate and different proceedings. 2.7 Disciplinary proceedings do not replace or seek to imitate court proceedings. 2.8 The Code and Procedures are guidelines and may be departed from in appropriate circumstances”. These principles were referred to recently in Bodibe v PPSCBC ( (JR490/15)  ZALCJHB 124 (23 March 2018) per D Mahosi J but it is suggested that the judge misdirected herself in a number of respects as pointed out by Darcy du Toit below. One of the issues raised by Darcy concerns the finality of a decision to dismiss and in this regard reference is made to the judgment of the late Keith McCall in the high court in a matter where the current DCJ was the instructing attorney – Tawusa v Natal Co-Operative Timber Ltd (1992) ILJ 1154 (HC). There are strict legal requirements but Darcy makes a valid point by drawing attention to the phrase “date on which the employee left the service” in the definition of date of dismissal. “With respect, the judgment raises several questions. In the first place, given that Ms Bodibe’s claim was for payment of a sum of money, it is unclear why it had not prescribed by 2005 and why it could still be brought a decade after it allegedly arose. It is true that prescription had apparently not been pleaded nor considered by the arbitrator, and that a review court is limited to reviewing the case which had been before the arbitrator. However, there is one exception. Where an error of law is evident from the papers, even if neither party had been aware of it, a review court is not only entitled but duty-bound to raise it. Arguably, the arbitrator had been wrong in entertaining a claim which, on the face of it, had been extinguished by prescription, and the court should have raised it on review. This leads to the next question: whether Ms Bodibe’s claim was in fact based on a collective agreement. 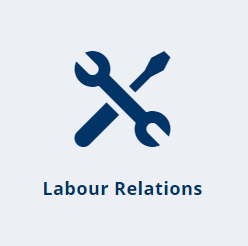 Not every right regulated by a collective agreement has its origin in the agreement itself but may, in fact, arise from the LRA (or other sources of law). If so, a dispute about a party’s entitlement to that right is not about the interpretation of the collective agreement but about the content of the statutory right. In HOSPERSA obo Tshambi v Department of Health, KwaZulu-Natal, for example, it was held that a dispute about non-payment of remuneration to a suspended employee as required by a collective agreement was not about the collective agreement as such; manifestly, it was about an unfair suspension in terms of section 186(2)(b) of the LRA and should have been dealt with as such. Much the same could be said in the present case. The dispute is similarly about non-payment of remuneration, which could be seen as breach of contract or, possibly, as an unfair labour practice, and should have been brought as such. But, in either case, doing so a decade after the event would obviously have been out of time and, if brought under the LRA, at very least in need of condonation. But the most intriguing question, perhaps, is whether employment does in fact terminate only when an employee is informed of the employer’s final decision to dismiss and whether, until then, the employment relationship continues despite that decision. Section 190 of the LRA defines “date of dismissal” as the earlier of either “the date on which the contract of employment terminated or “the date on which the employee left the service of the employer”. Even on Ms Bodibe’s own account, it appears that she had “left the service of the employer” well before 15 November 2002.